A primary infection is the first time you are exposed to and infected by a pathogen. During a primary infection, your body has no innate defenses against the organism, such as antibodies. Antibodies take time to develop after you have been exposed to an infectious organism, although they can help to prevent future infections with the same disease. Vaccination, before exposure to a disease, works by causing your body to produce antibodies. Those antibodies then improve the body's ability to fight off a primary infection. There are four different types of pathogens that can lead to a primary infection. Viruses enter the body and spread to other cells. Viruses can be mild like the common cold, or life-threatening, such as HIV or hepatitis-C.
Fungi (singular: fungus) like yeast, mold, and mushrooms can also cause allergic reactions and related illnesses. They're difficult to eliminate once they've entered the body, and often the treatment, which may include antibiotic or antifungal medications, can have detrimental effects on the body as well. Ringworm and vaginal yeast infections are examples of fungal infections. Bacteria can be primary infections but tend to be secondary infections, which enter the body after it's been weakened by a virus. Strep throat and botulism are examples of bacterial infections. And finally, there are parasites, which enter a host body and drain energy from the host. Tapeworm, which wreaks havoc on the digestive system and ticks which spread Lyme disease are two examples of parasites that can make people sick. For diseases such as genital herpes, which persist in the body, the primary infection occurred at the time when you were initially exposed to the herpes simplex virus. That's true whether or not you had an outbreak at that time. This is important to understand since different herpes blood tests have differing abilities to pick up new, primary infections. Some are much better at detecting long-standing or recurring infections. Herpes IgM tests are a better marker of early primary infections. Herpes IgG tests are better at detecting chronic or recurrent infections. 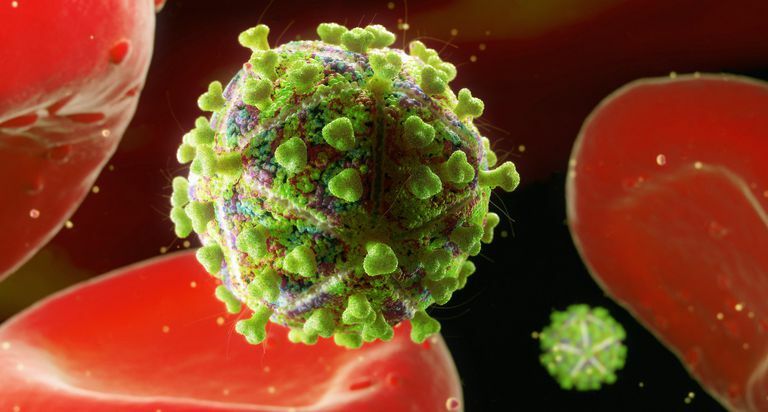 Early primary HIV infections also may not show up on blood tests. That's because HIV tests usually look for antibodies rather than a virus. Therefore, someone may test negative even though they still have enough virus in their bodies to infect their partners. Early HIV transmission, which takes place during the time before people begin to test positive, is a significant public health problem. Many such infections take place. Some of them could be avoided with more consistent use of universal screening. It's important to note that the phrase "secondary infection" does not refer to the second time a person becomes infected with the same illness. A secondary infection is a different infection altogether, which can thrive in a person who has a primary infection. Sometimes called "opportunistic infections," secondary infections in HIV patients are able to do more damage because HIV weakens the immune system. Many patients who do not have HIV can fight off other viral and fungal infections that are potentially life-threatening to HIV patients.